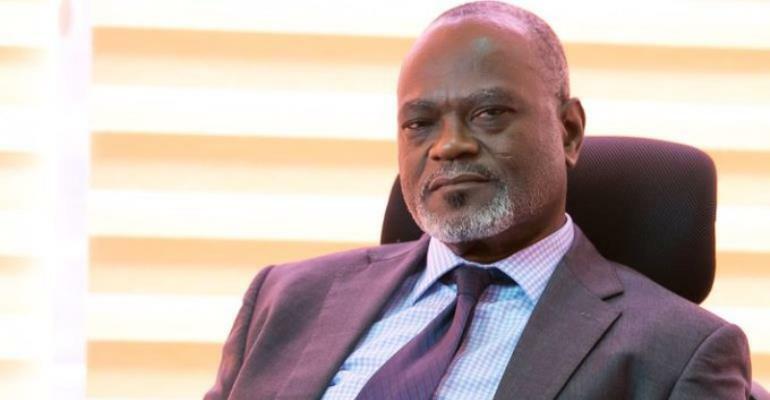 The President of the Ghana Football Association (GFA) Normalization Committee Dr Kofi Amoah is upbeat about the chances of the Black Stars after the 2019 Afcon draw in Cairo. He has however dismissed suggestions that Ghana is in a "cheap" group after been drawn with reigning African champions Cameroon, Guinea Bissau and Benin. Dr. Amoah who in Cairo for the Afcon draw and other official engagements, spoke to the media immediately after the draw and said Ghana's rich history and pedigree as far as the African Cup is concerned would be an advantage. "To me personally, this draw already signifies victory from the middle...and Ghana is in the middle as far as being at the centre of the earth. Here we are, surrounded by history against the backdrop of the spectacular Pyramids of Giza. And from here, from tonight, begins our quest to mount a resurgence in Ghana Football". Dr Amoah's now trademark philosophical views was put in perspective when he quickly added that the Black Stars of Ghana will not underestimate any opponent in Group F.
"We are going to give each of the teams in our group the due respect they deserve because nobody qualified by magic or by accident, therefore, we must accord our opponents the same respect they will accord us". Ghana's FIFA backed Normalisation Committee is assiduously focused on their mandate to raise football back from the brink in country steeped with rich tradition but nearing almost four decades without a triumph on the African continent. Coach Akwasi Appiah was coy in his reaction insisting that good preparations would be key to his team's success in Egypt. "We need to prepare very well so that whichever team comes our way, we can deal with confidently".